Nick Badovinus’ latest spot, a definitive Pacific Northwest take born of his Puget Sound roots, is simple, straightforward, and well-executed. 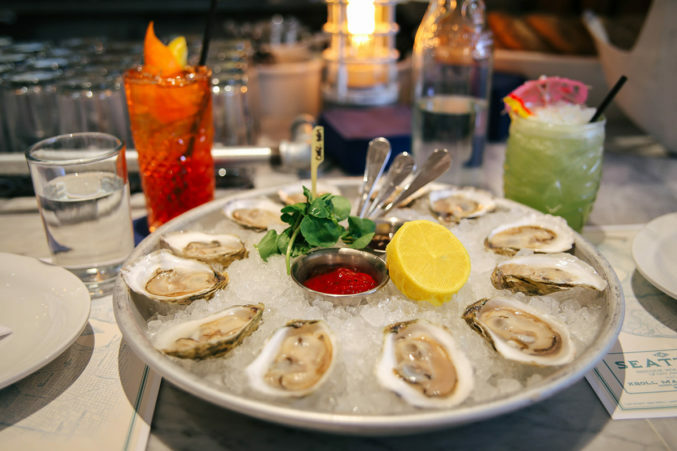 Oysters are sourced from both coasts. Dungeness crab is mounded onto a halved avocado and luxuriously dripped with house Thousand Island dressing.